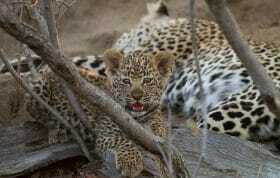 “Leopards are renowned for organising their lives so as to avoid encounters with people. 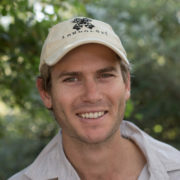 Unlike lions, they are furtive and solitary, appearing and vanishing like a hallucination” Mitch Reardon, Shaping Kruger. 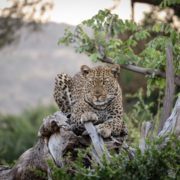 Of my South African friends – most of which have been visiting wild areas from a young age – a large proportion of them have never seen a leopard in the wild. For those that have, a fleeting glimpse of one walking across a road would signify a top sighting for them. 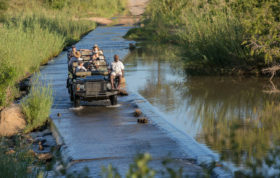 For those of you that have visited Londolozi, you will know that the leopards we are fortunate to view here are unique. We are in our fourth decade of a relationship between man and leopard. A relationship that may be overlooked, but is in fact the culmination of years of careful observation and respect from the many trackers and guides that have passed through and continue to work at Londolozi. 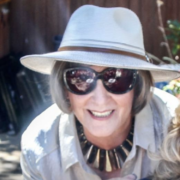 The original Mother Leopard. 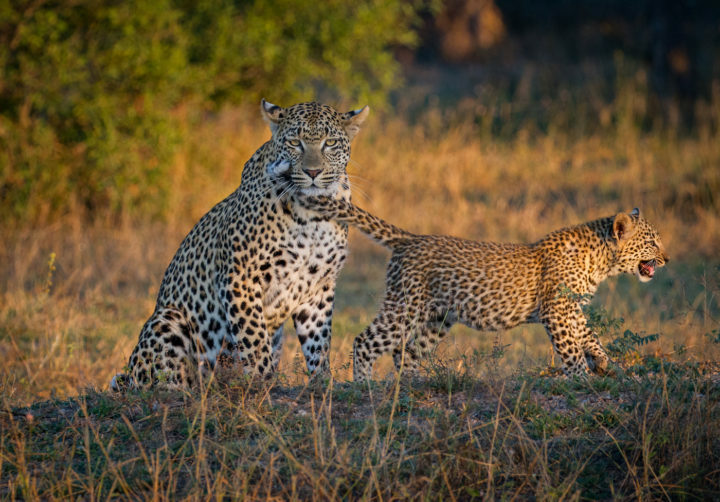 A leopard who John Varty and Elmon Mhlongo followed for 12 years, observing and documenting. 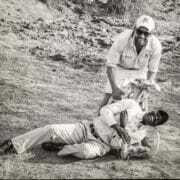 Arguably the start of the relationship between man and leopard on Londolozi. Her descendants are still viewed here today, entering the sixth generation of her lineage. 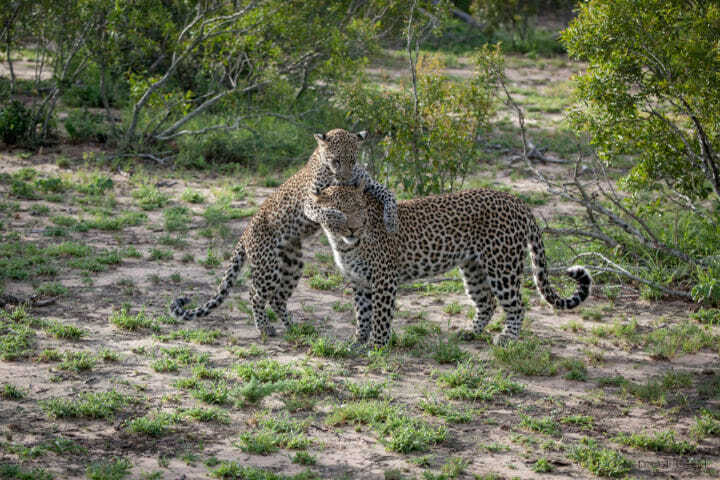 We are blown away by the sightings we have of these magnificent cats on a daily basis. One of the female leopards that we view fairly regularly – her territory surrounds the Londolozi camps – is the Nkoveni female. The Nkoveni female is one of the most relaxed leopards that you may encounter out here. Now don’t get me wrong, she will still be found using the thickets along the banks of the Sand River to move within and to hunt, however she is not shy to walk directly past one’s vehicle as if it is not even there. 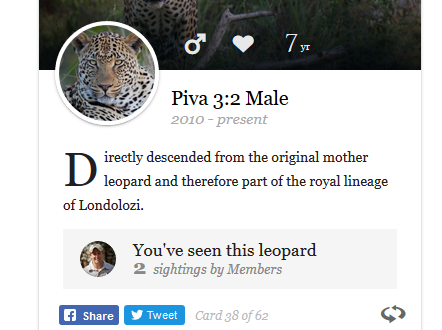 This goes against everything you will read about leopards in the field guides! 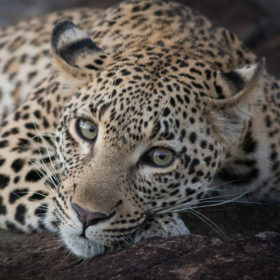 The Nkoveni female leopard. So close to ranger Melvin Sambo’s vehicle that he has to lean slightly to the side to try and see where she is! She was most likely using the shade of the vehicle as cover before walking through this open clearing, possibly towards some prey she may have spotted up ahead. This nonchalant behaviour is what allows us to bear witness to the daily activity of these wonderful creatures as if we are ghosts, invisible to the leopards. 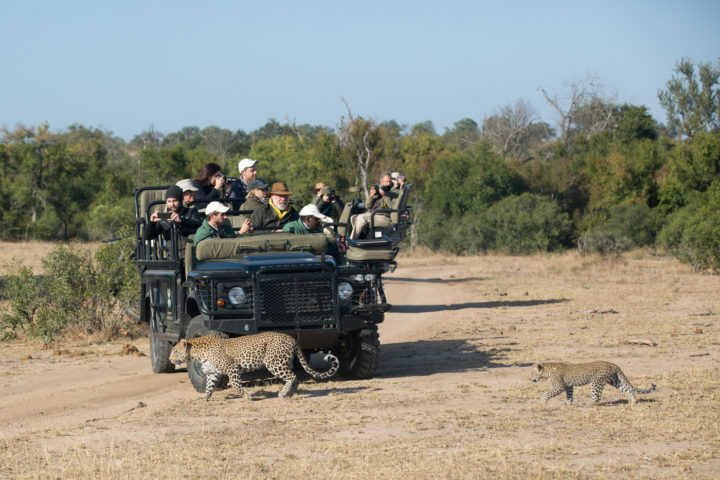 In fact, one could argue that because the Leopards of Londolozi are so undisturbed by us, we are having less of an impact on their lives than if they were not so habituated, constantly expending energy to avoid us. But why are the leopards so relaxed? What it comes down to really, is the offering of respect. Respect of personal space. By allowing the leopards to do what they are doing without disturbing them, they begin to view us (in the vehicle) as just another part of their environment that poses no threat to them. If they are listening, we switch off the engine. If they are hunting, we give them space and silence. If they are not happy with us in their space, we leave them alone entirely. In this way, the habituation of leopards to vehicles occurs. The Nkoveni female leads one of her previous cubs through a clearing, past our vehicle. This litter of two took on her relaxed nature from a young age, seemingly very indifferent to vehicles. Her next litter was not the same though. Is this relaxed nature inherited by cubs? Yes and no. Ask some of the guides and trackers who have been here for many years and they will list examples of how some do and some don’t. In the case of the Nkoveni female, her litter of two from early 2017 were very confident, from a young age. We assumed they had taken on this trait from their mother. Those two cubs unfortunately did not make it past nine months due to a shift in male dynamics (at least one we know was killed by the incumbent Flat Rock male and we suspect the other met the same fate) but the Nkoveni female fell pregnant and gave birth to another cub around April 2018. We all assumed it would be as relaxed as the two from the previous litter but were proven wrong. My first sighting of the current Nkoveni young female. The mother was lying in the open on Plaque Rock, but the youngster kept darting away and hiding from us. We were at least 100 yards away, with a river channel between us. Ranger Grant Rodewijk and tracker Jerry Hambana sat for a whole 2,5 hours at a sighting where the Nkoveni female had a hoisted kill to which she had led her three-month-old cub last year. It’s around this age that cubs first start getting introduced to kills. They sat in silence with the vehicle off, hoping for a view of the young cub. The mother was calling and calling for the cub to come out of a bush in which it was hiding. All they saw was a flash of spots as it had a quick peep out at the vehicle. 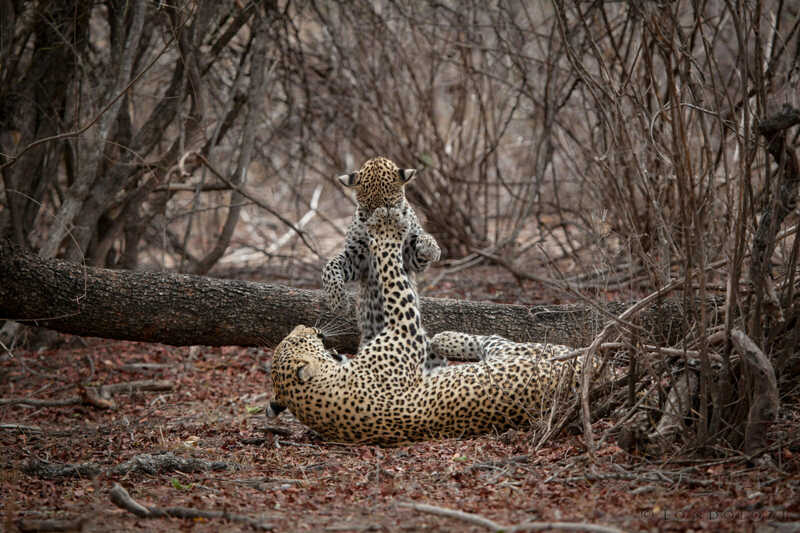 These tedious hours though – the unthreatening presence of the vehicle with the mother even encouraging the youngster to come out – are what it takes for these young leopards to become habituated. Would this youngster be one of the few that never accepts vehicles? One of those leopards that chooses to set up territory far from any lodges, preferring to never be seen? Fast forward to the end of 2018, the cub is now confident enough to stalk and pounce on the mother, a few yards from a vehicle. This playful behaviour was never witnessed by anyone a few months earlier. Luckily for us, the cub continues to become more and more relaxed by the day. Generally, leopard cubs are dependent on their mothers for just under two years, although at Londolozi our records show that here they generally become independent younger – at around 15-16 months. 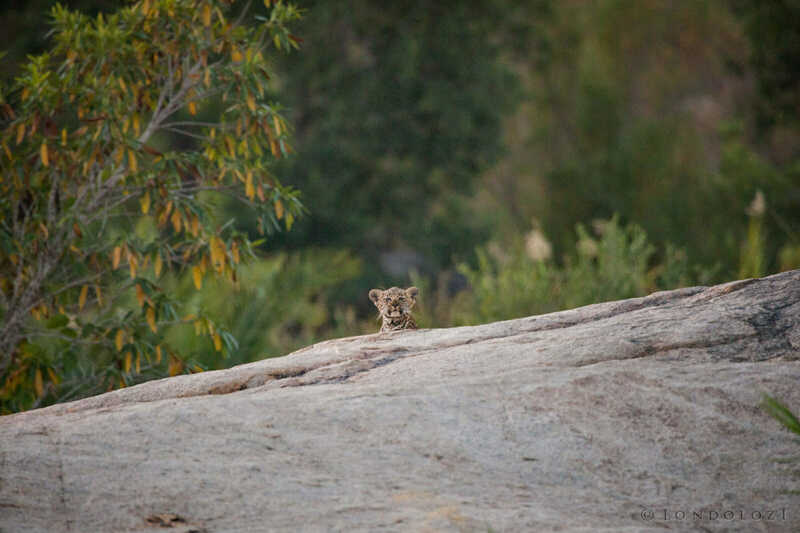 The current cub of the Nkoveni female, when left alone while the mother is hunting, has probably witnessed hundreds of vehicles driving past it that haven’t noticed it. This, combined with our careful introduction of one vehicle into a sighting, then two as the cub relaxes and eventually a maximum of three and only when the cub is with its mother, has now resulted in the somewhat skittish cub becoming as relaxed as the mother. The development and change over a period of about four to five months is phenomenal and something that most of us were unvcertain would happen. Growing rapidly in size and confidence, the Nkoveni young female has been providing guests with unbelievable sightings. Heart warming moments like this are now not uncommon. Having been visiting the Greater Kruger National Park area since 1994, it did not surprise me that I had never seen a leopard cub until I joined Londolozi in early 2017. After all, leopards are the shy creatures of the night that pass by in the shadows, aren’t they? 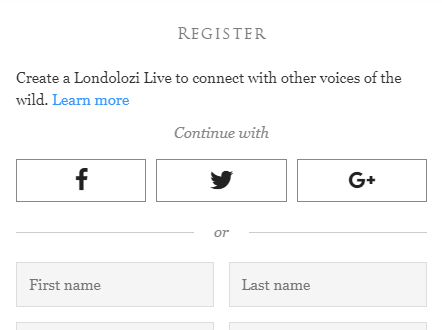 Come to Londolozi though and this will change. As can be seen, the relationship between leopards and humans continues to grow here. The leopards we view here go on with their daily lives as representatives of their species. Acting as ambassadors, they passively promote the conservation of our wild areas through the thousands of photos and memories that are made from them. All this while they continue to do what they do best: live as wild and free leopards. The Nkoveni female and her cub, wild and free. 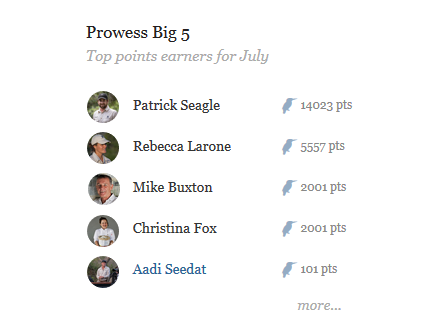 Lovely blog Pete. Do you find that cubs have got different personalities and some might be more shy than others, or be more skittish? Thanks! Yes, almost every pair of cubs that we have witnessed will have an individual that is more shy than the other. Sometimes their confidence will grow with age, but just like with domestic animals – there is always one that ventures that little bit further than the rest! The discipline of habituation has made famous the Leopards of Londolozi and makes Londolozi THE place to see leopards in all of Africa. We are so lucky! Thank you! We feel so fortunate to have viewed leopards at Londolozi. The Mashaba female strode so close beside our vehicle one could have reached down to touch her. Two and a half weeks in East Africa provided only a shadowy glimpse of a leopard blending into a bush. 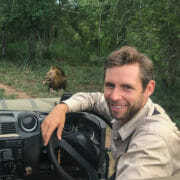 Thank you, Londolozi, for respecting these beautiful creatures to such a degree. 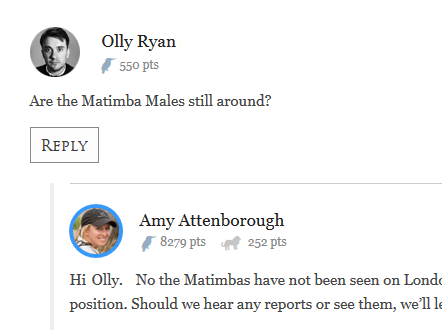 Great blog, Pete. I was lucky enough last October to spend time with the Nkoveni female and her daughter. We sat enraptured as they played close to us, using a fallen tree as a climbing frame. I guess the cubs take their cue from their mother, and if she is relaxed then the cubs will be the same. I seem to remember that Nkoveni’s mother (Mashaba) was always relaxed, and so was her mother, Vomba. 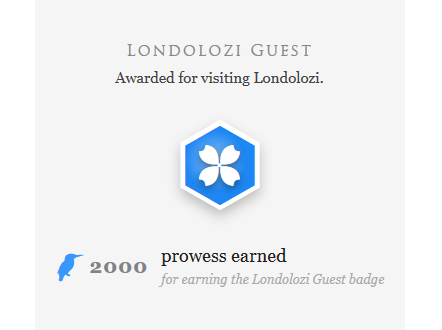 It certainly shows the value of all the care and respect you have given them over the years, well done Londolozi! Amazing pictures! Thanks for sharing. 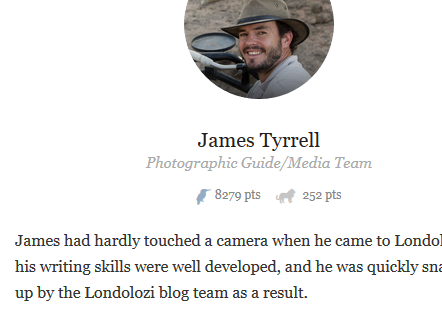 Well written blog Pete. I do find it fascinating that some cubs acclimate easily to the big green vehicles whilst others remain skittish and elusive, never warming up to the safari scene. 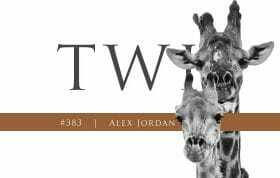 Speaking of my own experiences, I began visiting Sabi Sand 19 years ago. 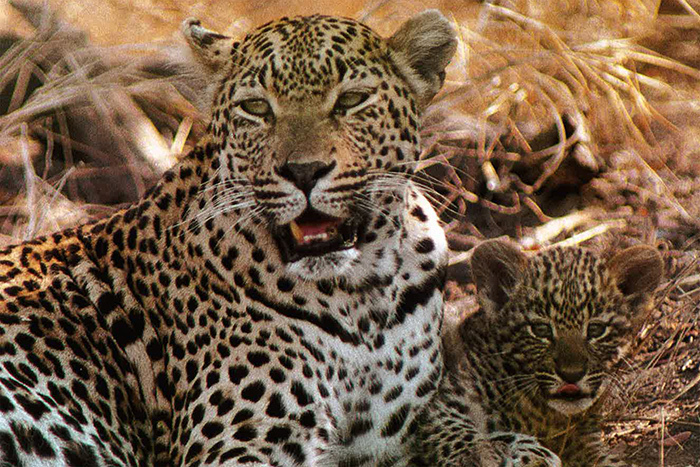 Leopard sightings were rare in 2000, even in Singita. 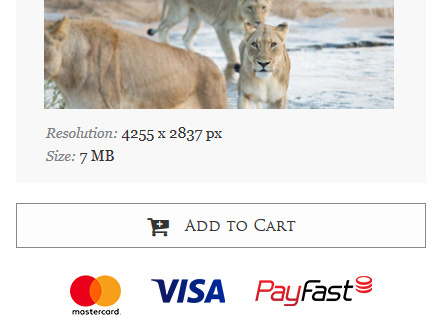 It was only when visiting Mombo Camp in Botswana that I had my first real sighting after leaving South Africa. After that 2008 yielded a couple of brief sightings in Phinda and Singita, but it wasn’t until 2017 that I really noticed a difference in leopard viewing. This past November I spent 8 days within the SabiSand Reserve and I was thrilled to watch leopards almost everyday in each lodge. It seemed the population had increased- or as you stated, the resident leopards had become more habituated to Landies and humans. At any rate, Londolozi is doing a great job to respect their lives and privacy, whilst allowing guests to view these magnificent animals. Thank you! 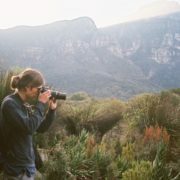 On my phone – I wish I could post it here – is a short video taken by people during their last night in their house at Wolfkop, a place in the mountains about six kays outside Citrusdal and three kays up the mountain. A friend of mine went to say goodbye while I wandered around near the house taking bird photos. That night on their way out to visit friends the couple found two leopards lurking around their car, apparently a mom and her cub. The video found its way to my phone. One wonders where those leopards were while I was taking bird photos! What an amazing story – purely because leopards in the Western Cape are so incredibly rare… Myself and ranger Alex Jordan were lucky enough to capture a cape leopard on camera trap outside Tulbag, but were nowhere near seeing one with eyes – unless of course the leopard was right there watching us the whole time! 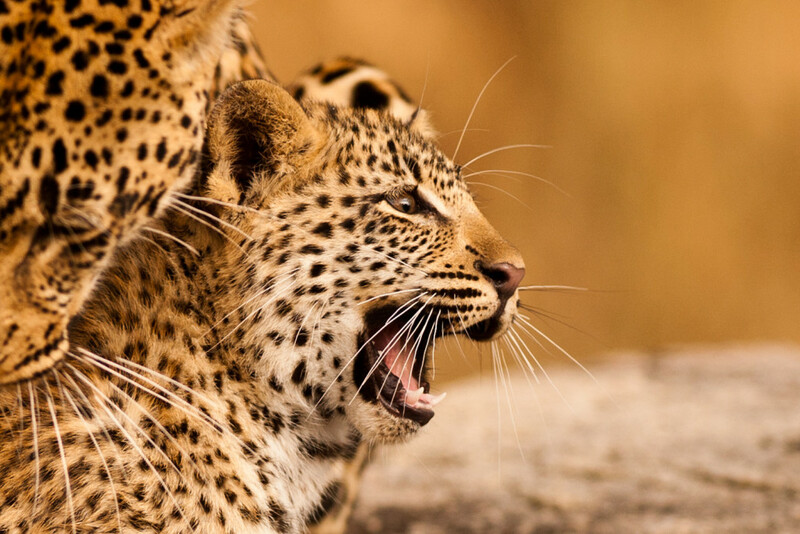 Beautiful photos of my very favorite animal, the leopard! Just like people, they all have different personalities, don’t they? Thanks for sharing, Pete! Very interesting stuff! 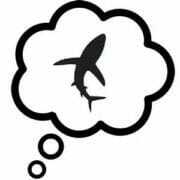 Do you think single cubs might generally be more shy or less confident then pairs or no pattern that you have noticed? It really does differ from individual to individual. However, pairs of cubs will often move around and play with each other while their mother is off hunting, until they start nearing independence. They may also feed off each other for confidence in the presence of vehicles, but with one often more confident than the other. Single cubs do tend to be a bit more shy when alone, and will be more confident (if that is their nature) when the mother is around. 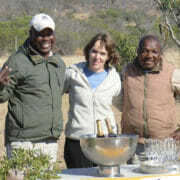 This co-existence is the most difficult concept to convey to those who have never visited nor gone on any game drive. 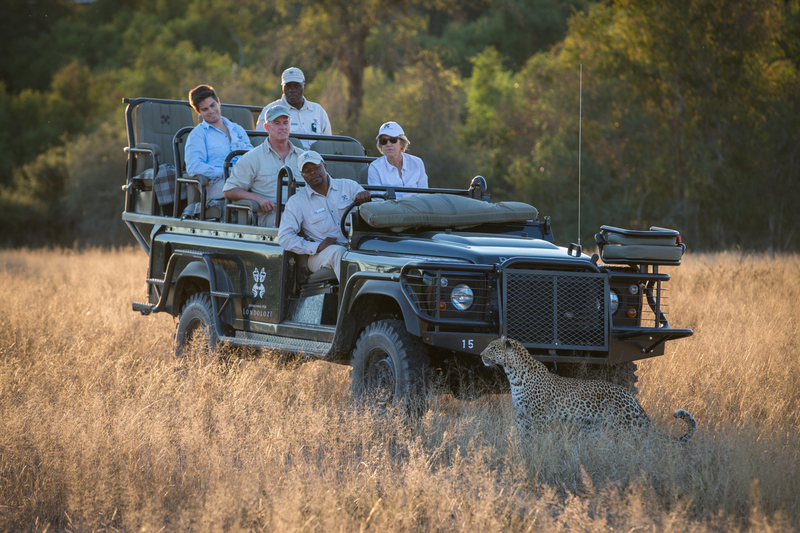 It is inconceivable to them that humans can get this close to the leopards. 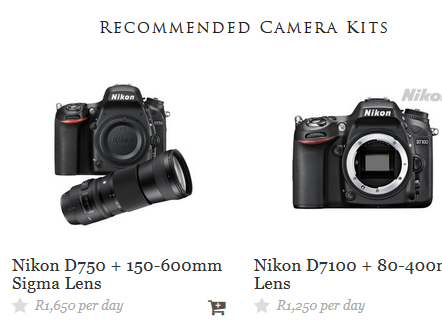 Photos and videos are viewed with amazement. 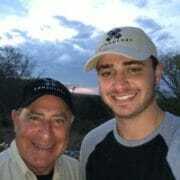 Pete, I managed to download the video on an e-mail to Londolozi – I don’t know if you managed to see it. For a video taken with a cellphone the quality is quote amazing. 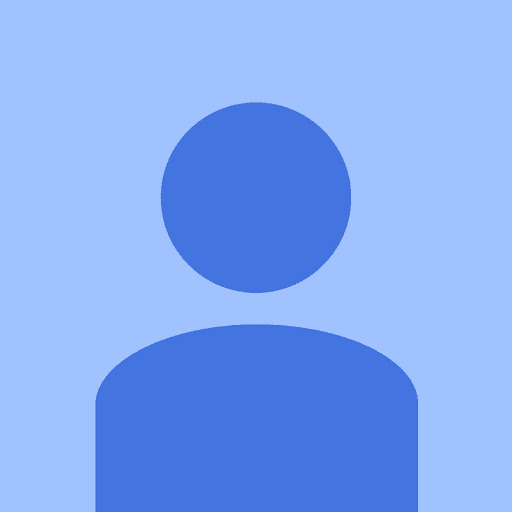 If you will contact me, either with your WhatsApp no or an e-mail address I’ll try to see that you get it if you haven’t seen it already – regards! This was a very special treat since I love leopards so much. Images with a mother and her cubs are always endearing and even more so when they are playing together! I may be wrong, but isn’t Nkoveni one of the daughters from Mashaba? It’s wonderful to see the line continue, especially since Nkoveni lost 2 Cubs previously. 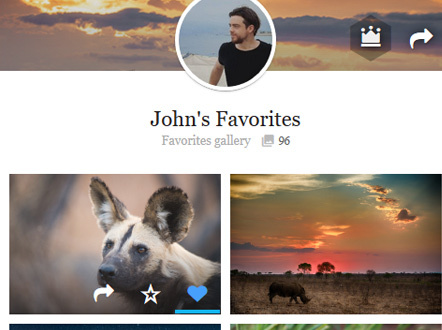 Great blog and wonderful natural images. Thanks! You are correct – the Nkoveni female is daughter to the Mashaba female. The other cub that the Mashaba female raised to independence is the Ximungwe female, born in 2015, who is currently raising two cubs of her own. 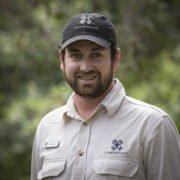 Have a look at https://leopards.londolozi.com to get a better idea of the Londolozi leopard dynasties. Thanks Pete. I really enjoyed this article. I wish I could have a leopard encounter like the ones above!! All of mine have been fleeting!